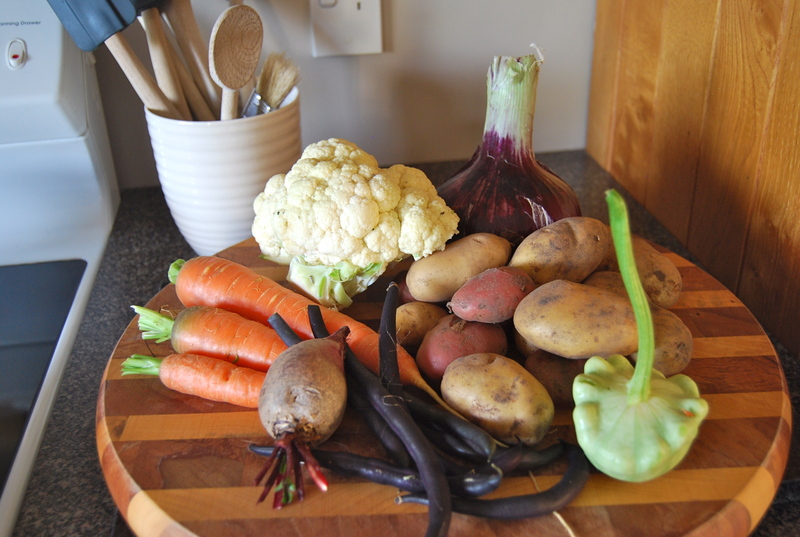 Tonight’s harvest… Cauliflower, new potatoes, carrots, beetroot, baby squash, purple beans (that turn green when you cook them, very cool!) and the biggest red onion I have ever seen! I can’t take credit for all of this produce, hubby has taken a great interest in ensuring all the vegies are well cared for and picked at the perfect time, and our neighbour regularly keeps us topped up from his amazing vegetable garden, we really are spoiled. Needless to say that tonight’s stir fry dinner was filled with healthy goodness! ← Two different looks with velvet. What a healthy array of veges ! Hubby must be so busy !